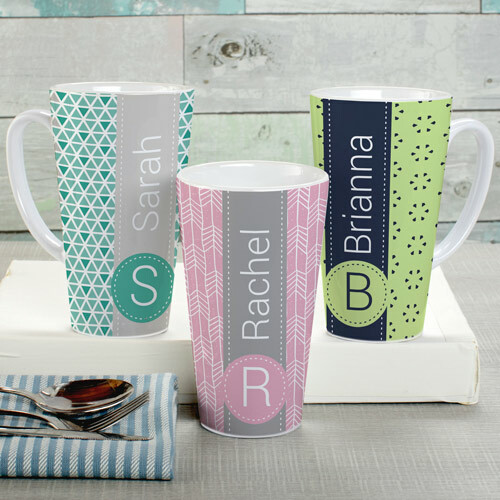 Give truly unique customizable coffee mugs with our custom personalized name and initial pattern latte mug. We will add any name and any initial to your choice of design color to make a one of a kind personalized mugs of your very own. Give everyone on your gift list a special mug of their own this winter. Terrific for gift exchanges, gifts for friends, bosses, co-workers, friends, and of course, a gift for yourself! Mug is nice and well made. Wish it were a bit larger to hold more coffee!! It is beautiful and unique. Thumbs up!